In Small Things Remembered » The early years of the Helmand Valley Authority (HVA). The early years of the Helmand Valley Authority (HVA). 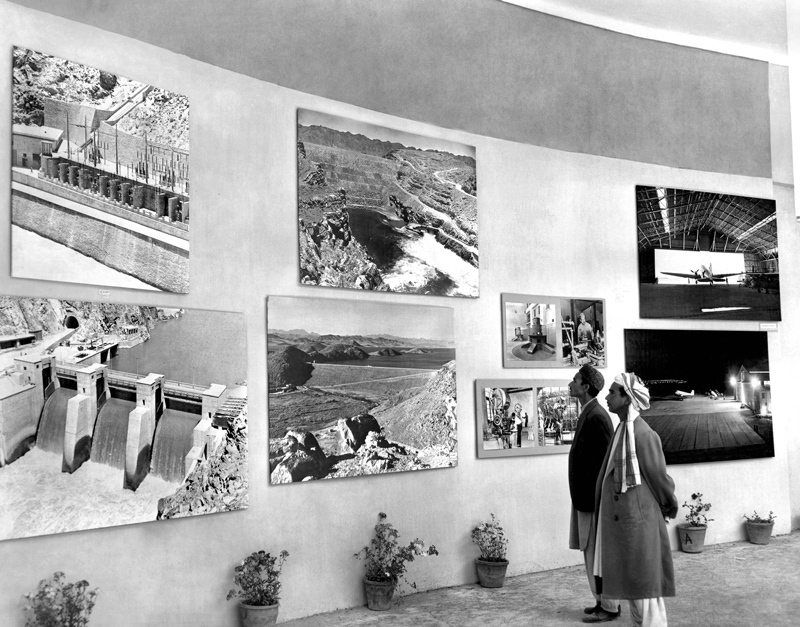 1956 Jeshyn Fair. 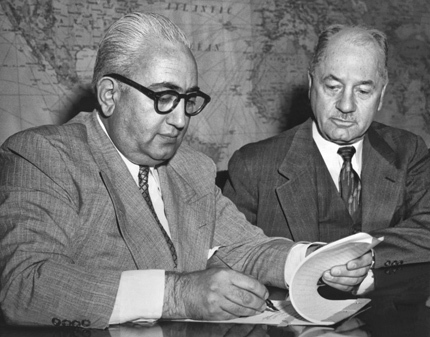 b. Mohammed Kabir Ludin, Afghan Ambassador to the U.S., signs an agreement for American credit to support Helmand Valley projects. General Glen E. Edgarton, President of the U.S. Export-Import Bank, looks on. displayed to the public at Jeshyn Fairs. Courtesy of the National Archives Still Picture Unit. 306-PS-51-P-54-7507.